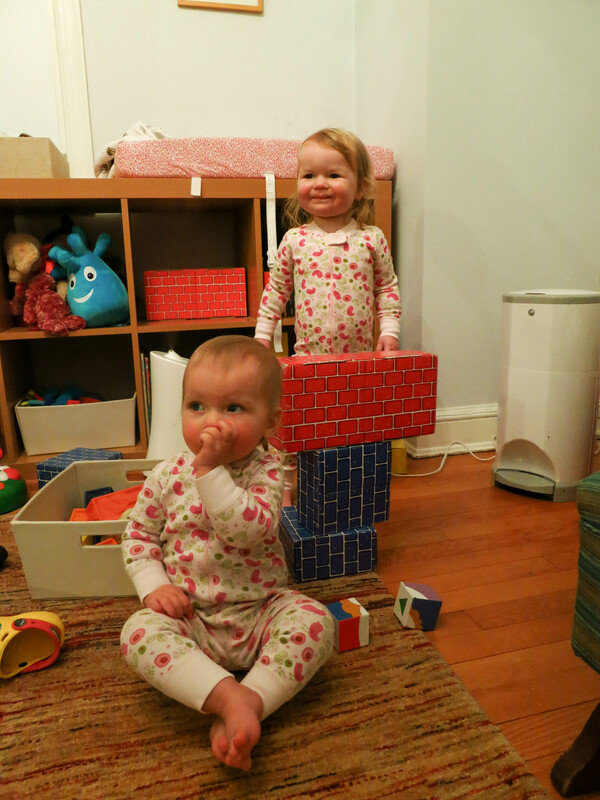 Della had a late-night playdate with Annie on Thursday. While parents Johanna and Steve watched the Caps lose to the NJ Devils, Della experienced dinnertime, playtime and bedtime at her cousin’s house. 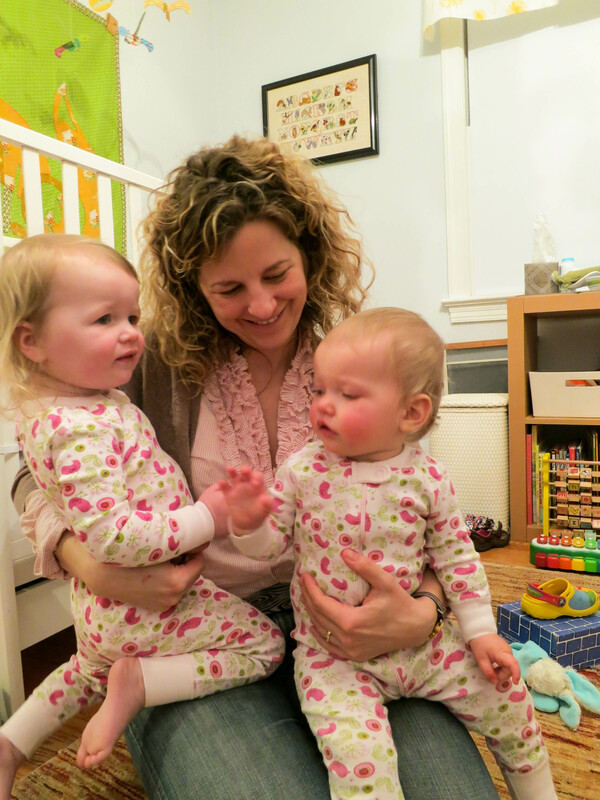 Aunt Lizzie called it a “practice sleepover,” because in the end Della didn’t sleep all the way over. But that’s how you learn–little by little. Yes, these two have matching PJs. 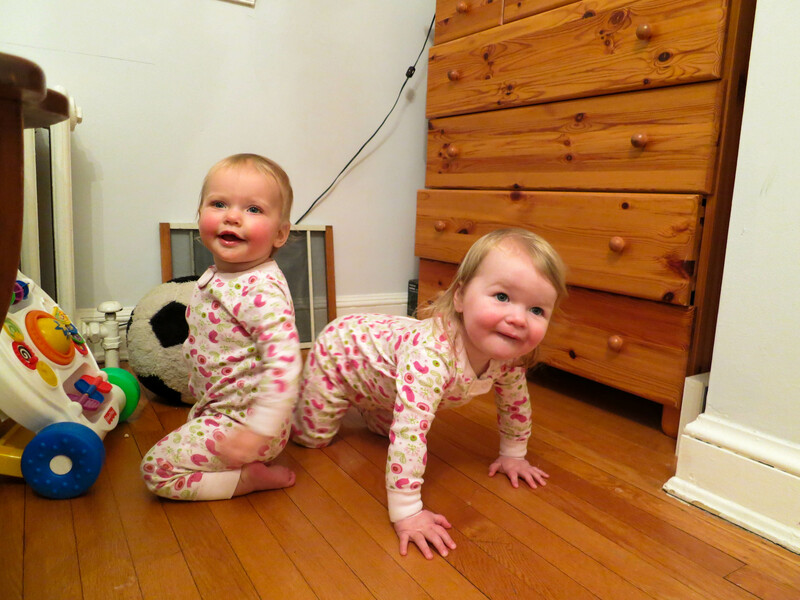 Also charming: Annie, never one for crawling, crawls when Della is around. Everyone agrees that it is a very welcoming thing to do.